A lot of classic Atari titles received very little merch (or none at all), which is why some of these games have endured as classics, in my opinion. If Atari had been shoving merchandise down our throats for every franchise, maybe we all would've grown sick of these games. Either way, if Atari had decided in the 80's to cash in on their popular games, this is exactly what their toys would’ve looked like (in my opinion). While the last batch of Atari figures I made were constructed from vintage GI Joes, these were made from vintage Kenner Star Wars toys, giving them a classic 80’s look. And rather than make them only for myself, I made a few extra Missile Command figures and a few extra Berzerk figures to sell. They're all on eBay now for sale. 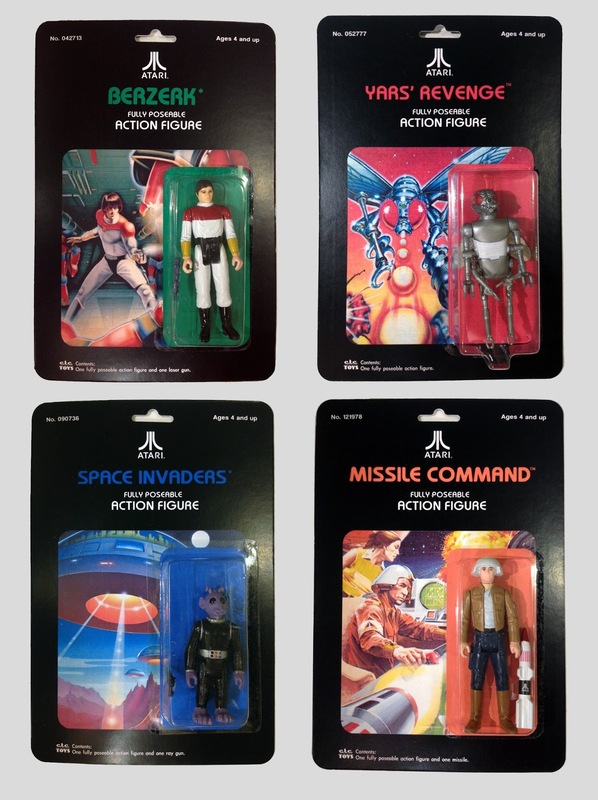 Click here to buy a Missile Command figure. SOLD OUT! Click here to buy a Berzerk figure. SOLD OUT! Click here to see a video of an idiot falling off a ladder. Head - Zuckuss (actual character is 4-LOM, but the old Kenner toys advertised him as Zuckuss, so his vintage figure is referred to as Zuckuss… so back off nerds). These are really cool! Nicely done.